The essential app for instant remixing, powered by pro sound designers. 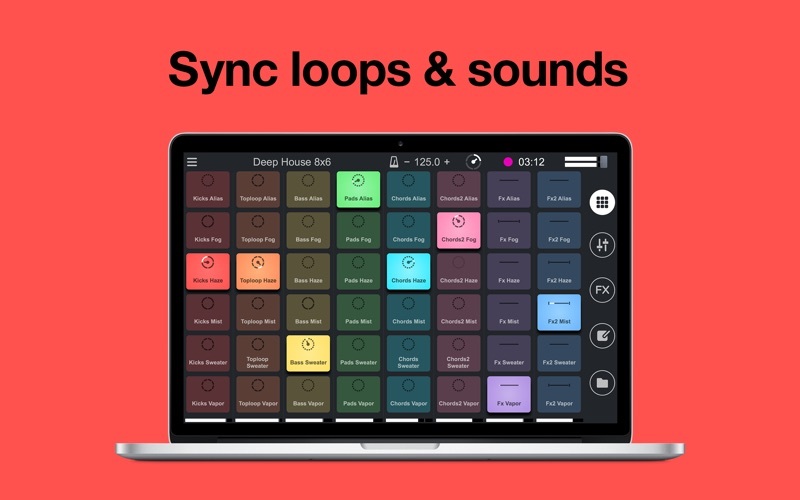 Remix music with synced loops, sounds & FX. Mixvibes, the pioneer of digital DJing, introduces the perfect remix toolbox: lay down samples on a grid of pads and tweak them in seconds. Remixlive is all you need to turn ideas into high-quality tracks. Want to create unique songs? Record live input through your microphone or sound card and capture any sound, voice or instrument. Fine-tune your samples by editing their length and envelope (ADSR). 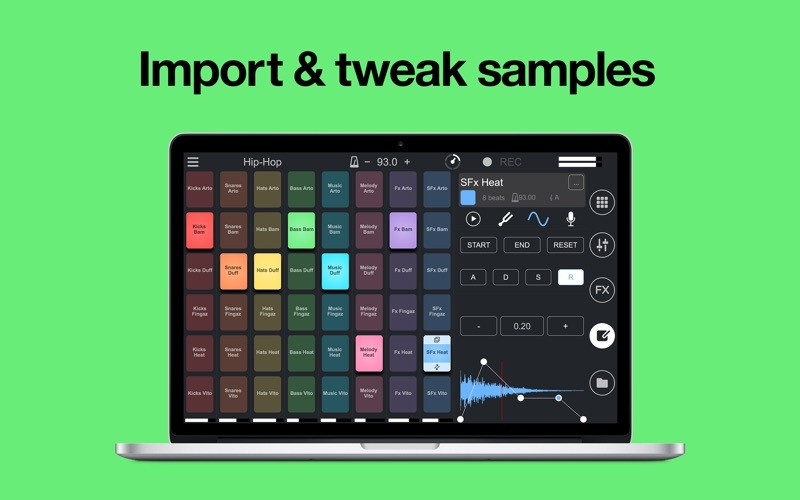 Play several samples per column to create rich and layered tracks and resize the grid at will. • Modular Grid: customize the grid size to your own preference, up to 10 columns and 10 lines. • Already over 18 varied sample packs, ranging from Hip-Hop to Dubstep - and more to come. • Artist pack by legendary DJ/producer Carl Cox & more to be added. 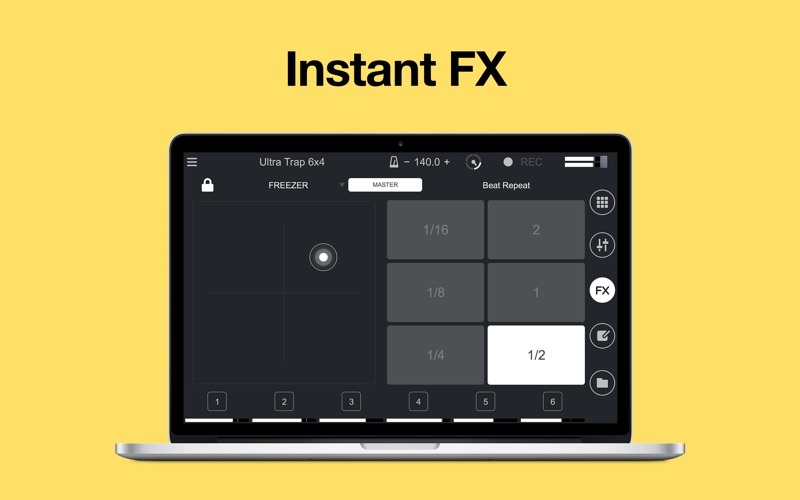 • Instant FX pad with all-new effects: Infinite Delay, Low Phaser, Flangus, Jet-Up, Metalizer, Basic Slicer, Fast Gate, Crush, Bliss, Big Bright Hall, Freezer, Reactor. • Play several pads per column simultaneously. • Full mixer: for each column, control level, filter, Mute and Solo + DJM-modeled 3 band EQs. • Share your recordings via SoundCloud & YouTube. • Support for any MIDI controller through MIDI learning. • Control the app with your keyboard. • VST & AU host sync and syncs plugin with host transport: sync Remixlive with the host software of your choice. • Retrigger mode: tap on a sample to replay it from the beginning. • Import your own samples from the Finder in a variety of formats: WAV, AIFF, MP3, M4a, AAC, FLAC, Ogg, MP4 and WMA are compatible. 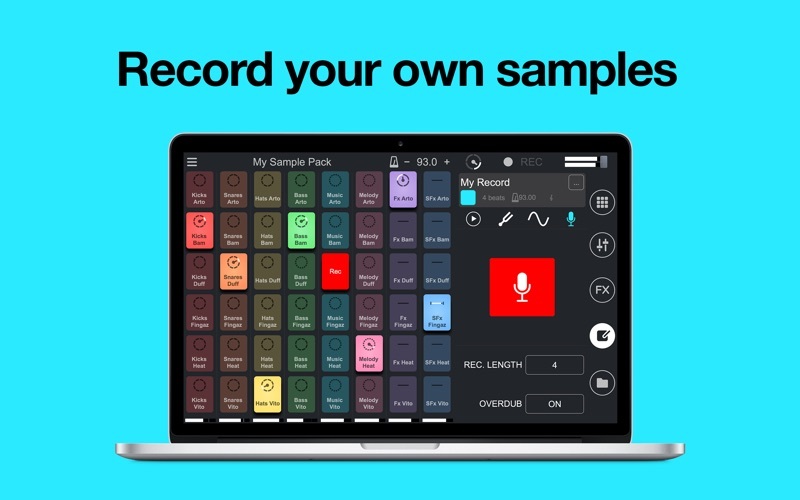 • Record any sound or voice using any microphone or sound card. 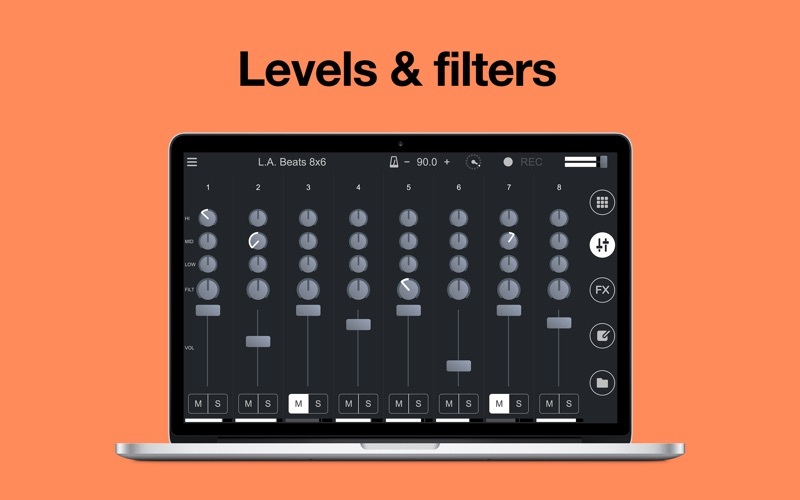 The best producers and musicians deserve the best apps. And this is why we keep improving Remixlive for you to have the easiest and most complete experience. This version contains several fixes, adjustments and a brand new finger drumming grid! Keep sending us emails at support@mixvibes.com, feedback is important to us! And if you like Remixlive make sure to rate it on the Mac App Store.